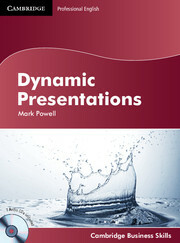 Aimed at today's busy executives and those studying for or wishing to further their careers in business, Dynamic Presentations looks at what constitutes a successful, motivating presentation and gives learners an insight into the essential skills and techniques they will need to ensure their presentations are both motivating and memorable. 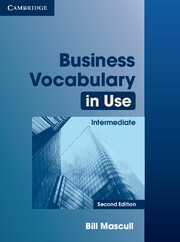 The Student's Book comes with two Audio CDs containing all the audio material used on the course. A Dynamic Presentations DVD is also available, with expert advice and authentic content, aimed at improving competency in key management areas. PowerPoint slides designed to save valuable time for trainers are available online.